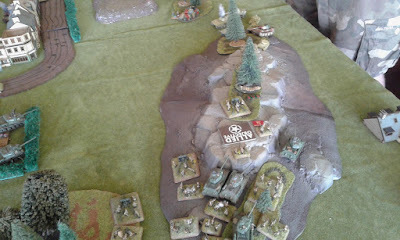 Into the Fray was held this year on the weekend of 26-27 November, hosted at the Roosevelt Park Bowls Club and run as always by Three Plus Wargaming Club. 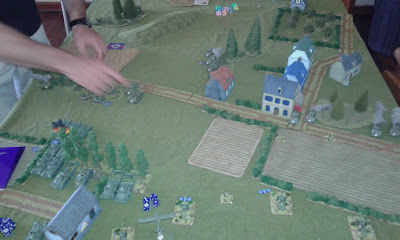 A number of systems were run and demo games were also present, though I would be attending for the Flames of War bit. 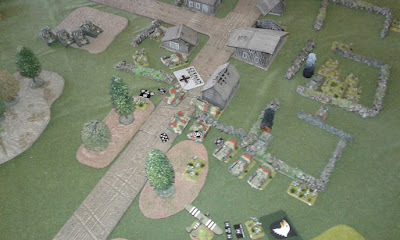 FOW was a 1625 Pts Late War tournament held over two days: five games total, 3hr rounds, random missions. 12 Players in total. After winning last years's 1650 Mid War Tournament at the same competition, I was more-or-less obliged to attend. Plus ITF has always been fun, reason enough to attend. 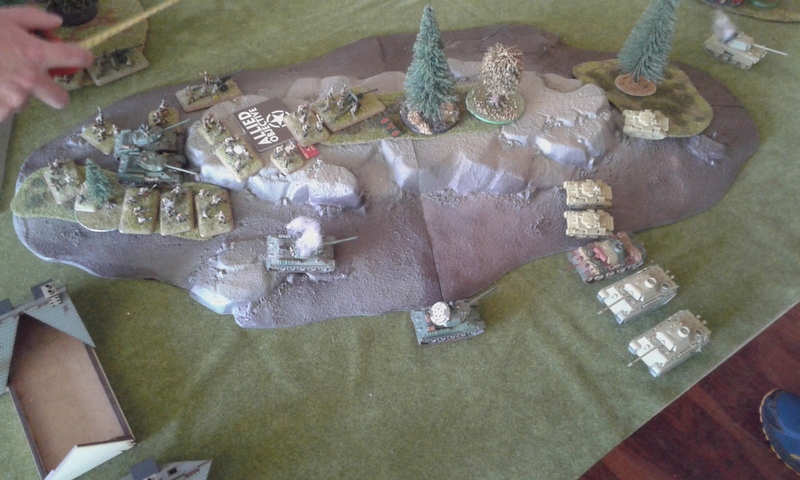 I had choice of table side, I loaded the left with a Churchill Plt and the Breaching Group (all Shermans), guns along the back, Carriers in centre and another Chrchill Plt + 2iC on my right. 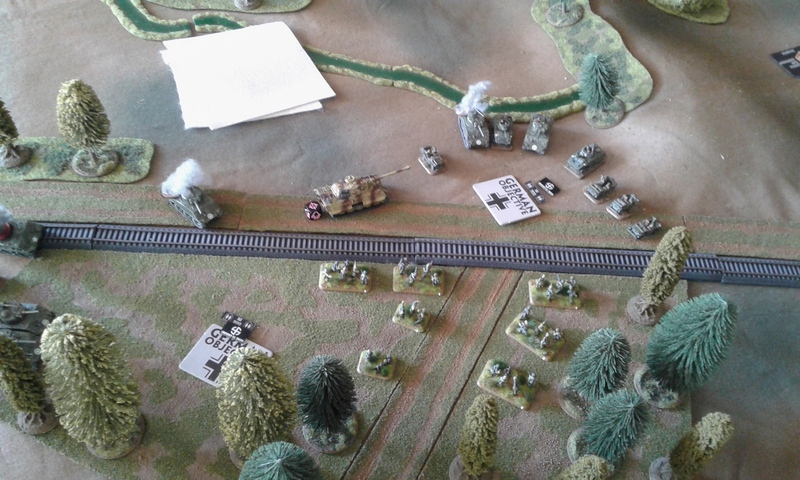 The Panzers pushed hard on my left with nine Panzer IVs, the gun-fight prove quite deadly as I lost the BG Shermans quickly but managed to kill/chase off all nine Panzer IVs in return. The 5.5"s fired over open sight and managed to hit nothing whenever they did. On my right the Churhchills pushed forwards, managing to lose one MK VI to a Panzer IV round before the Mk IV KO'd two Panzer IVs in return. The 2iC CS Churchill finds something he can actually hurt...a Puma and ARV. 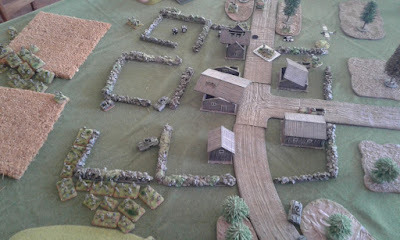 With just the Nebs holding the right objective and Chruchuills bearing down on them, we called it, 5-2 to me. Losing the BG was unfortunate...too early, I was not thinking and should have pulled them out after the first two were lost. Crouching Tigers, hidden Breaching Group. Unfortunately, I can only find one picture of this game: not sure why I didn't take more. 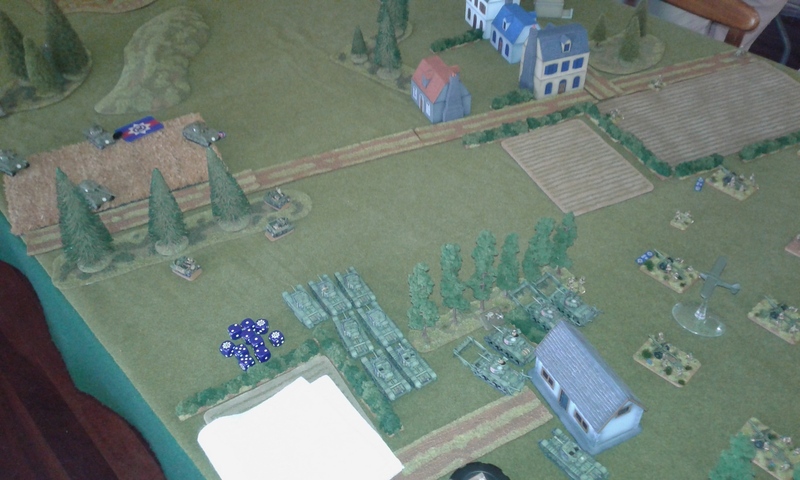 Attacking in Cauldron, I started with the Chrchills, BG and Carriers, aiming to bring the artillery on from reserve in protected positions. Germans started both KTs and both PzGren platoons...I had nothing to touch the KTs, so I mostly hid in woods with the Churchills. 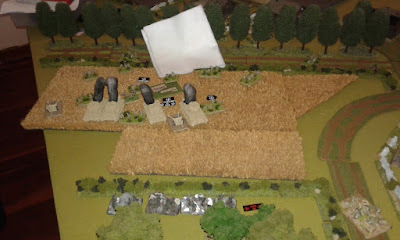 I received four 5.5"s and placed them in the top right-hand corner in the pic above, behind the hill. I lost a Churchill to a KT (both had re-roll misses! )...my fault that, not checking LoS properly. German reserves saw a StuG platoon come on and fire at my Shermans with no effect: eight 25-pounders then arrived from reserve on the table edge and killed two with flank shots (classic FOW moment is classic), though the third passed morale. My 5.5"s had nothing much to shoot at except the HQ KT...so they killed him and two nearby infantry teams with some fantastic rolling. 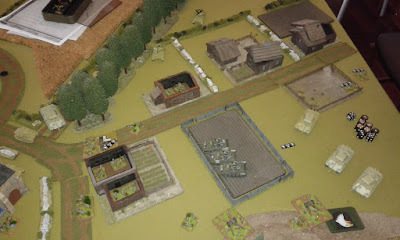 The second StuG Plt arrive, and doubled to the centre. Fire on the Shermans was again ineffective (missing or I saved). 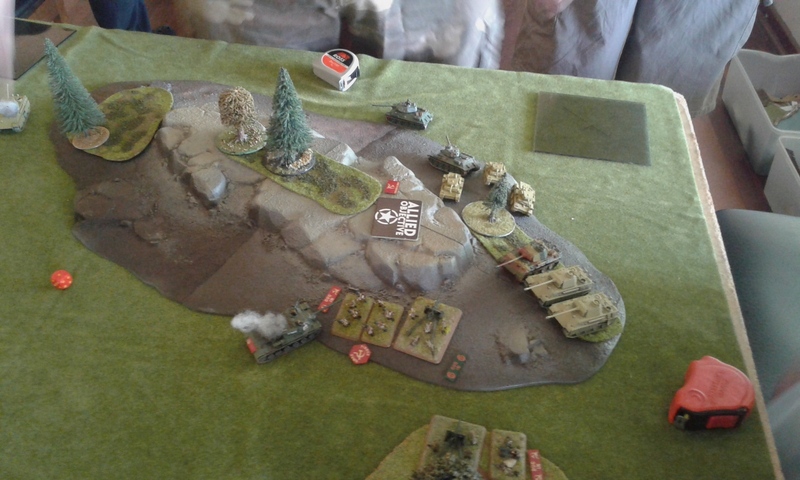 Two BG Shermans KO'd the remaining StuG from the first platoon, while two moved to get flank shots on a double-timing StuG that was lagging, which they also KO'd. 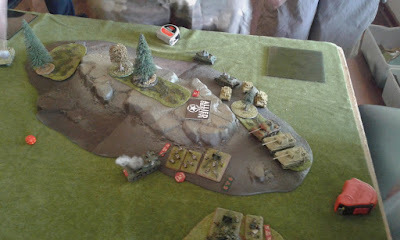 A Churchill Plt then crashed through woods to draw LoS on the remaining two StuGs and lit them up at close range. My 5.5"s, lacking any more targets (StuGs all dead), threw some rounds at the remaining KT which promptly exploded. 6-1. Some hot dice on my side, but a passive defense was never going to be a problem. As is often the case, my brother and I were leading after two rounds so we played each other next in Fighting Withdrawal. I loaded heavily to my right and ground forward. Attacking on the right also meant I could avoid a double Hellcat drop for a few turns, and I hoped to apply a lot of pressure forcing one to deploy, eliminate that, then the other, which is pretty much what happened. I took some losses from the first Hellcat ambush, but the platoon held and then I massed fire to destroy the ambushing Hellcats. Good shooting also saw several infantry teams removed for successive turns as the US position started weakening. A lot of Time on Target bombardments were fired and a lost a couple of Shermans and a Carrier by the end of the game, but the TA2 of the Churchills thankfully held fast. 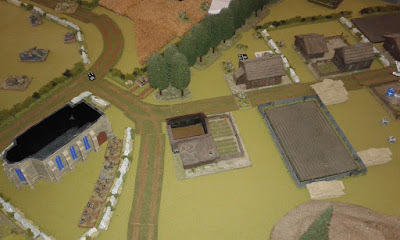 Starting from concealing terrain, my brother then launched an assault to clean-up the forward-most Churchill Plt (some Bailed Out, no defensive fire, etc.). Again TA2 proved a saving grace and the US infantry were destroyed in the counterattack, leaving me to consolidate within 4" of the objective and claim it on turn 6 (whew). 6-1 in the end, but had the last US assault worked it would have been different. If he had not assaulted, I would have needed to break the last of the infantry (do-able), before launching an assault into a building with some Churchills to kill his CinC (! ): with a Company Morale check necessary later in the game and his 2iC dead, this would have been failed automatically. But then, I might have missed his CO and then it would have been 50/50 odds to win. 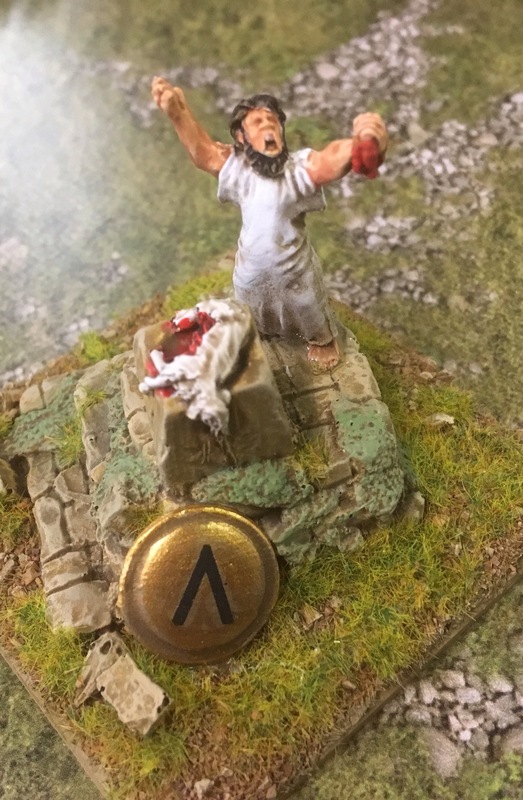 "the most realistic army present at the competition" ..."yeah, but you get no points for that"
Dust Up, I started with all the 5.5"s, half the 25-pdrs, and the BG. 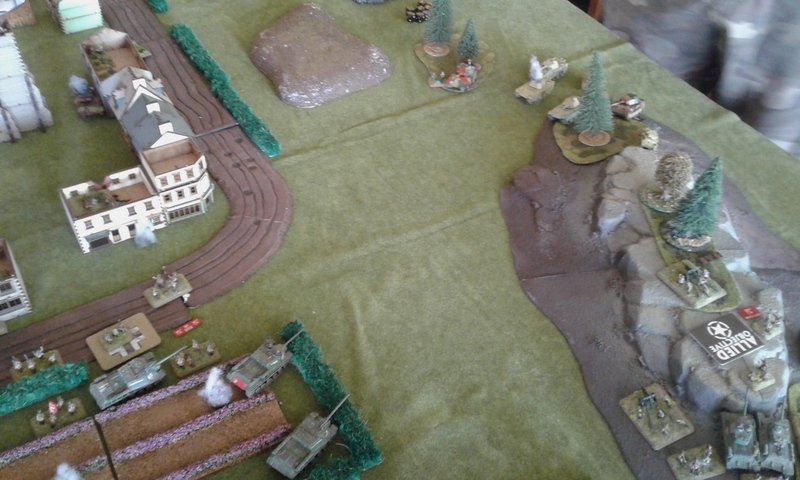 I faced Sperr Pios, LW 88s, PaK40s and the 15cm Infantry Guns. Both of us were aiming for flank attacks from reserve. 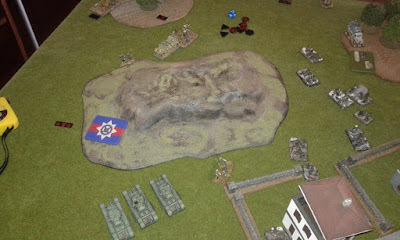 My AOP was chased off early on, and lacking Recce on-table yet I struggled to range-in on much. Some Sperr Infantry arrived first only the be bracket by some very accurate artillery and lose 4/7 teams, though they passed their 5+ test. Twice. My Recce arrived, followed by the Churchills. 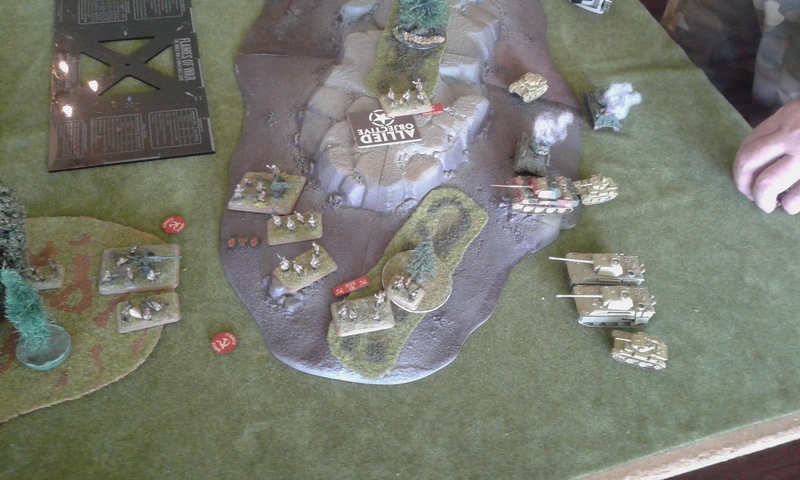 I lost two Carriers to snipe shots on 6s, but thankfully the remaining one passed Morale (Cheap Fearless!). 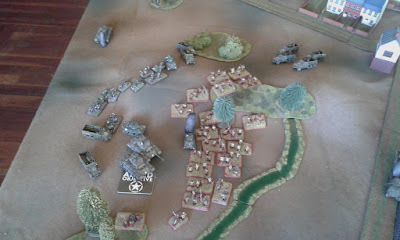 A long-range gun fight with the PaK40s ensued which the tanks won after a few turns, though the PaK40s passed FOUR 5+ tests to stick around, only breaking on the fifth, Sole Survivor test (bloody Cheap Fearless....). On the other flank the Hetzers made an appearance with another Sperr platoon: the Hetzers KO'd two BG Shermans. 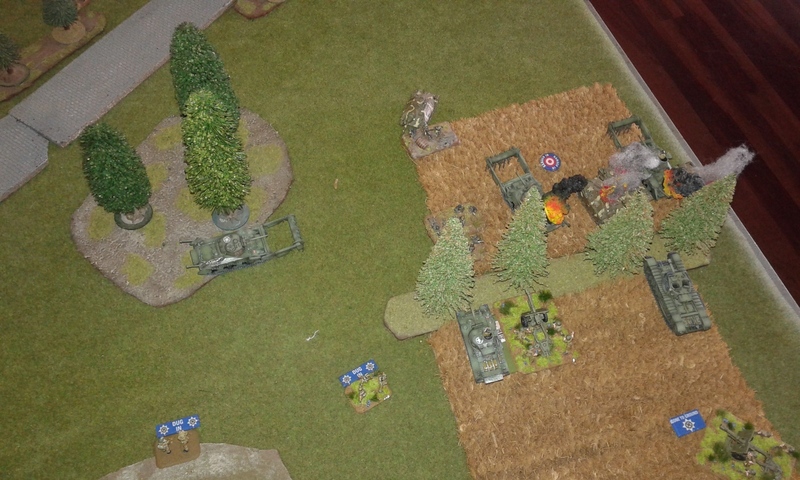 Combined artillery fire and shots from the two remaining Shermans eliminated two, one Bailed Out, but they stayed only to fluff their next four shots against the Shermans and get wiped out the next turn. The 2iC was happy to have some infantry to machine-gun as he had not much else to do, eventually breaking the Sperr platoon supporting the Hetzers. 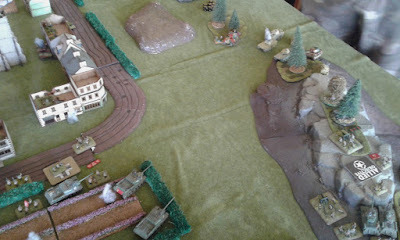 My Churchills then moved up to claim the objective, facing an assault by the Sperr Pios w/CinC and Windgruber in tow (!). 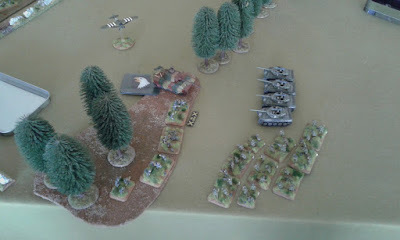 However, the (now Fearless) Sperr failed their 3+ Tank Terror test, and the re-roll, leaving them unable to assault or contest. Typical. Only a couple of phone pics here as the camera memory was full (forgot to empty it). Both being Always Attack Tank lists, whichever army attacked would be in a better position in my view: I won the roll to attack. 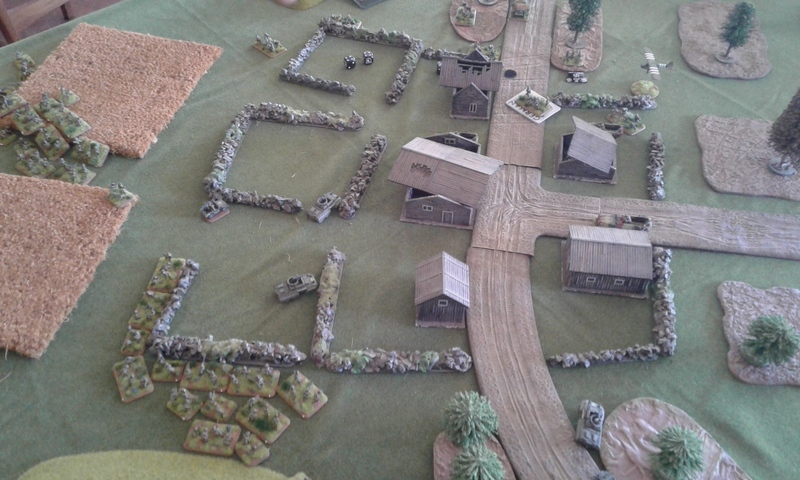 I faced a tank plt deployed, with a second and the Sherman 105s in ambush. The Sherman 105s ambushed immediately, drove out from behind cover and attempted to kill some 5.5"s with Breakthrough Gun shots...they got one, before losing two to DF 5.5" shots, two to DF 25-pdr shots and another to a BG Sherman before the platoon broke. After that I had 2-3 turns of cold dice where I failed one FP test after the next. I lost a Churchill Platoon (could not roll armor saves) and later the Carriers for two opposing Shermans (one 75mm, one Easy8). However, the weight of fire eventually told and a couple of turns later both US Sherman platoons were forced to test, and both failed. With Patton and the CinC both far back (no idea why) and about 90mins to play, that was pretty much the game and we called it 4-3. With five wins I ended up in first with some 27 Pts. So, yeah...awful list to face and not really enjoyable to play with either: I should have just taken my Rifle Company, I would probably have had more fun. Not something I intend to run again, and not something I would ever run in a friendly game. But it is competitive and effective, dangerously so for many armies to face. "Apocalypse commeth"...or is it "V4 commeth"? Maybe both.